This book explores U.S.-China relations under the leadership of President Barack Obama and discusses how his decisions set the stage for a new era in U.S.-China relations. 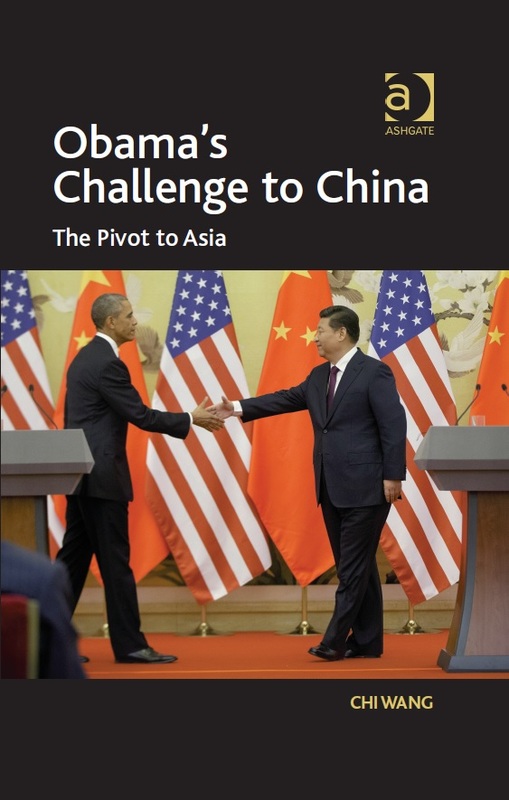 The book outlines Barack Obama’s own personal worldview and the backgrounds of the advisors that made up his China team; it details the major events in U.S.-China relations from 2009 to 2014; and addresses Sino-U.S. relations and interactions with regards to various issues: economics, military relations, climate change, human rights, and multilateral cooperation in regional and international organizations. Finally, the book ends with timely suggestions for how to improve the U.S.-China relationship and ensure a peaceful future. This book offers a lucid survey of the complicated history of U.S.-Chinese relations. 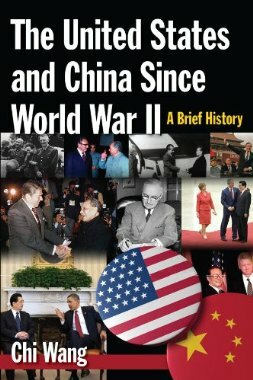 After two brief chapters of historical background, the focus shifts to the mid-twentieth century, the wartime alliance, the bitter aftermath of China’s civil war, and the path from normalization of relations to the present day. Chi Wang traces the ways in which the two countries have managed the blend of common and competitive interests in their economic and strategic relationships; the shifting political base for Sino-American relations within each country; the emergence and dissolution of rival political coalitions supporting and opposing the relationship ;the evolution of each society’s perceptions of each other; and ongoing differences regarding controversial topics like Taiwan and human rights. From Dr. Chi Wang, a professor of Chinese history and U.S.-China relations for the past 40 years, comes the story of his childhood as a student in pre-revolutionary China, his journey to America after the 1949 Communist Revolution, and his pursuit of a new life, education, and career in our nation’s capital for the past half-century. This coming-of-age tale offers a personal and political history of China, weaving in events and prominent figures from the 1930s onward. The author presents an intimate eye-witness account of life in China before 1949, and the uncommon perspective of a Chinese emigrant in D.C. for over 60 years. This study analyzes United States policies regarding China during the administration of George W. Bush, and reviews significant developments in each of his two terms while tracing the influences of specific advisors on the President’s China Policy. The book highlights evidence that U.S. policies towards China were ultimately based on pragmatic national interest that overcame short-term ideological differences. Dr. Wang, president and chair of the United States-China Policy Foundation, chronicles shifts in American security priorities after September 11 that prompted Washington to embrace China in a measured partnership that contributed to the short-term stabilization of U.S.-China relations. With unique access to Chinese leaders at all levels of the party and government, best-selling author David M. Lampton tells the story of China’s political elites from their own perspectives. Based on over five hundred interviews, Following the Leader offers a rare glimpse into how the attitudes and ideas of those at the top have evolved over the past four decades. Here China’s rulers explain their strategies and ideas for moving the nation forward, share their reflections on matters of leadership and policy, and discuss the challenges that keep them awake at night. In the only book on the subject to be based on extensive interviews with elite political leaders, diplomats, and others in China, the United States, and countries on China’s periphery, David M. Lampton investigates the military, economic, and intellectual dimensions of China’s growing influence. The Three Faces of Chinese Power provides a fresh perspective on how China’s strengths are changing, where vulnerabilities and uncertainties lie, and how the rest of the world, not least the United States, should view it. Dr. Lampton is director of China Studies and dean of faculty at The Johns Hopkins School of Advanced International Studies and a former president of the National Committee. This volume provides a unique look at the changes in the way Chinese foreign and security policy is made during the reform era, and the implications of those changes for China’s future behavior on the international stage. Bringing together the contributions of more than a dozen scholars who undertook extensive field research in the People’s Republic of China, South Korea, and Taiwan, the book is the most comprehensive, in-depth, and rigorous account of how Chinese foreign and security policy is formulated and implemented. 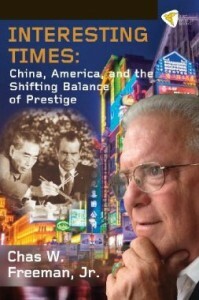 In Interesting Times, Freeman brings a broad and uniquely well-informed historical perspective to his analysis of the issues—including Taiwan, various other strategic issues, and differences over human rights and economic and trade policies—that confronted the world’s two most powerful countries throughout this period. He warns that the historical record suggests that no one can be complacent in assuming that this crucial relationship will always be managed in a sensible manner in the future. To view a list of recent releases in the U.S.-China genre, please visit our page here. Frankel, Francine and Harry Harding, The China-India Relationship: What the United States Needs to Know (New York: Columbia University Press, 2004). Gill, Bates, Rising Star: China’s New Security Diplomacy (Washington, DC: Brookings Institution Press, 2007). Glaser, Bonnie and Phillip Saunders, “Chinese Civilian Foreign Policy Research Institutes: Evolving Roles and Increasing Influence,” China Quarterly, No. 171 (September 2002), pp. 597-616. Goldstein, Avery, Rising to the Challenge: China’s Grand Strategy and International Security (Stanford: Stanford University Press, 2005). Gries, Peter H., China’s New Nationalism: Pride, Politics, and Diplomacy (Berkeley: University of California Press, 2004). Johnston, Alastair I, “Is China a Status Quo Power?” International Security, Vol. 27 No. 4 (Spring 2003), pp. 5-56. Kang, David C., China Rising: Peace, Power, and Order in East Asia (New York: Columbia University Press, 2007). Kissinger, Henry, On China, (Penguin Press: 2011). Kong, Bo, China’s International Petroleum Policy, Praeger Security International, 2010. Lampton, David, ed., The Making of Chinese Foreign and Security Policy in the Era of Reform (Stanford: Stanford University Press, 2001). Lampton, David, The Three Faces of Chinese Power: Might, Money, and Minds (Berkeley, CA: University of California Press, 2008). Qian, Qichen, Ten Episodes in China’s Diplomacy (New York: Harper Collins, 2006). Shambaugh, David, Power Shift: China and Asia’s New Dynamics (Berkeley: University of California Press, 2006). Sheng, Ding, The Dragon’s Hidden Wings: How China Rises with its Soft Power (Lanham: Lexington Books, 2008). Swaine, Michael D. and Ashley J. Tellis, Interpreting China’s Grand Strategy: Past, Present, and Future (Santa Monica, CA: Rand, 2000). Wu, Xinbo (and Commentary by Glaser), “Four Contradictions Constraining China’s Foreign Policy Behavior,” Journal of Contemporary China, Vol. 10, No. 27 (2001), pp. 293-308. Yong, Deng, ed., China Rising: Power and Motivation in Chinese Foreign Policy (Lanham, MD: Rowman & Littlefield Publishers, Inc., 2005). Bergsten, C. Fred et al, China’s Rise: Challenges and Opportunities (Washington, DC: Peterson Institute for International Politics, 2008). Huang, Yasheng, Selling China: Foreign Direct Investment During the Reform Era (New York: Cambridge University Press, 2003). Li, Cheng, China’s Emerging Middle Class: Beyond Economic Transformation (Washington, DC : Brookings Institution, 2010). Naughton, Barry J., The Chinese Economy: Transitions and Growth (Cambrdige, MA: MIT Press, 2007). Dahl, Robert, Who Governs? (New Haven: Yale University Press, 1961). Lampton, David M., ed. Policy Implementation in Post-Mao China (University of California Press, 1987). Lieberthal, Kenneth. Governing China (New York: W.W. Norton & Company, 1995). Lubman, Stanley, Bird in a Cage: Legal Reform in China after Mao(Stanford: Stanford University Press, 1999). Mertha, Andrew, China’s Water Warriors: Citizen Action and Policy Change (Cornell University Press, 2008). Bo, Zhiyue, China’s Elite Politics: Political Transition and Power Balancing (World Scientific, 2007). Li, Cheng, China’s Changing Political Landscape: Prospects for Democracy. Brookings Institution. 2008. Li, Cheng, China’s Leaders: The New Generation (Lanham: Rowman & Littlefield Publishers, Inc., 2001). Li, Cheng, China’s Midterm Jockeying: Gearing Up for 2012, Brookings Institution. 2010. Lieberthal, Kenneth G. and David M. Lampton, Bureaucracy, Politics, and Decision-making in Post-Mao China (Berkeley: University of California Press, 1992). Zhao, Ziyang, Prisoner of the State: The Secret Journal of Premier Zhao Ziyang (New York: Simon and Schuster, 2009). Barnett, A. Doak, Cadres, Bureaucracy, and Political Power in Communist China (New York: Columbia University Press, 1967). Chaozhu, Ji, The Man on Mao’s Right: From Harvard Yard to Tiananmen Square, My Life Inside China’s Foreign Ministry (New York, NY: Random House, 2008). Goldman, Merle and Roderick MacFarquhar, The Paradox of China’s Post-Mao Reforms (Harvard University Press, 1999). Johnson, Chalmers, ed., Change in Communist Systems (Stanford: Stanford University Press, 1970). Johnston, Alastair I., Cultural Realism: Strategic Culture and Grand Strategy in Chinese History (Princeton: Princeton University Press, 1995). Li, Cheng, China’s Changing Political Landscape: Prospects for Democracy. (Brookings, 2008). Shambaugh, David, China’s Communist Party: Atrophy and Adaptation (Washington, DC: Woodrow Wilson Center Press, 2008). Soloman, Richard, Mao’s Revolution and the Chinese Political Culture (Berkeley: University of California Press, 1971). Spence, Jonathan D., The Search for Modern China, (Norton: 2012). Burr, William, ed., The Kissinger Transcripts: The Top Secret Talks with Beijing and Moscow (New York: The New Press, 1999). Chen Jian, Mao’s China and the Cold War (Chapel Hill, University of North Carolina Press, 2001). Christensen, Thomas J., Useful Adversaries: Grand Strategy, Domestic Mobilization, and Sino-American Conflict 1947-1958 (Princeton: Princeton University Press, 1996). Lampton, David M., Same Bed, Different Dreams (Berkeley: University of California Press, 2001). Mann, James. About Face: A History of America’s Curious Relationship with China, from Nixon to Clinton (New York: Alfred A. Knopf, 1999). Romberg, Alan D., Rein in at the Brink of the Precipice: American Policy Toward Taiwan and U.S.-PRC Relations (Washington, DC: Henry L. Stimson Center, 2003). Schaller, Michael, The United States and China: Into the Twenty-first Century (4th ed. ),(Oxford: 2015). Suettinger, Robert, Beyond Tiananmen: The Politics of U.S.-China Relations 1989-2000 (Washington, DC: Brookings Institution Press, 2003). Sutter, Robert, U.S.-Chinese Relations: Perilous Past, Pragmatic Present, (Rowman & Littlefield: 2010). Hessler, Peter, Oracle Bones: A Journey Through Time in China, (Harper Collins: 2006). Osnos, Evan, Age of Ambition: Chasing Fortune, Truth, and Faith in the New China, (FS: 2014). Ropp, Paul S., China in World History, (Oxford University Press: 2010). NOTE: All book descriptions are excerpted from publisher’s materials.